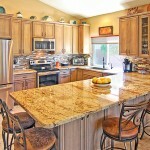 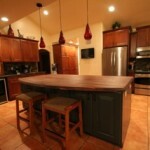 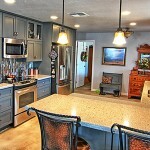 Cook Remodeling opened up, lightened up and completely updated this kitchen design. 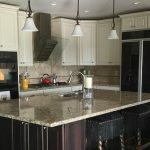 New cabinetry, countertops, island, flooring and stainless-steel appliances come together to bring more space, functionality, and a streamlined look and feel to the heart of this home. 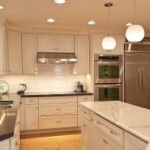 The darker floor serves as a contrast to accentuate the whiteness above. 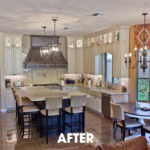 The kitchen proper is seamlessly integrated with the dining and living areas, allowing the homeowners and their guests an easeful flow of movement and activity. 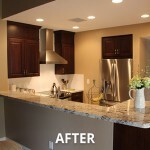 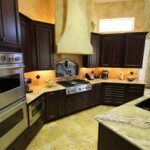 This kitchen remodel is a clear reminder that when you transform the kitchen design, it changes the entire house.